To manufacture a dive watch that safely reaches depths that, frankly, very few men or women actually visit underwater requires the use of a case with strictly calculated tolerances and carefully judged designs. Water under pressure is unforgiving, and a dive watch is meant to be a tool to assist a diver. Underwater, a leaky gasket or a poorly assembled case is more than simply an inconvenience. Nicolaus Spinner, the founder and chief engineer of German-based UTS Watches, leaves nothing to chance. Since he founded his brand seventeen years ago he has been the only person to decide whether each of the two hundred dive watches he makes each year is truly professional grade. Thanks in large measure to Spinner’s obsessive nature and focus on deep-dive models, UTS has achieved cult status among dive watch collectors. Spinner’s facility, near Munich, operates much like a small-production maker of complicated watches, but with a focus on cases, bezels and their attachments rather than strictly on the automatic or manual movement inside. Spinner himself oversees the entire production process and assembles each watch individually. He uses a modern CNC and machine tools that allow him to turn and mill solid stainless steel bar stock into components measured to a tolerance of a few microns (1 micron = .0001millimeter.) He alone fabricates each watchcase in-house, most measuring between 42mm and 45mm in diameter, and then tests each finished watch, also using the most modern testing procedures. But UTS prides itself on more than just its functionality, explains the firm’s North American business partner Stephen Newman, who sells the German brand’s timepieces online from his office in California. 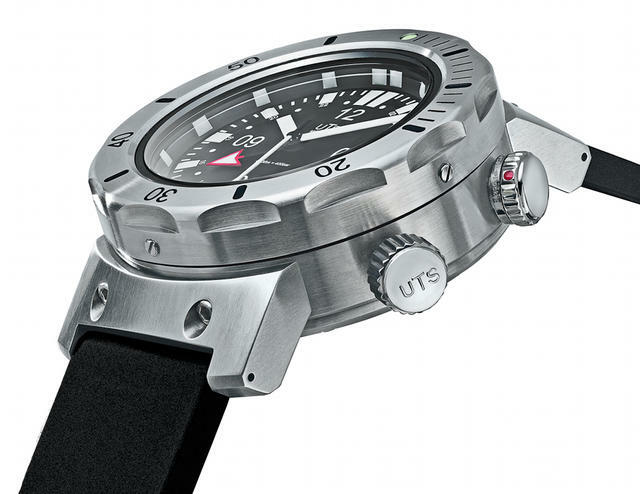 All UTS timepieces, which range from those rated at 4,000 meters water resistance to the Adventure models rated at 500 meters water resistance, feature screw-down crowns, screw-in case backs, industrial-grade seals, German-made sapphire crystals with antireflective coating, top-grade ETA Unitas or ETA automatic three-hand and GMT movements and Super-LumiNova hands and indexes. One ten-piece limited edition model even features a tourbillon, made with a movement supplied by the former STT, which is today part of Bovet Fleurier. 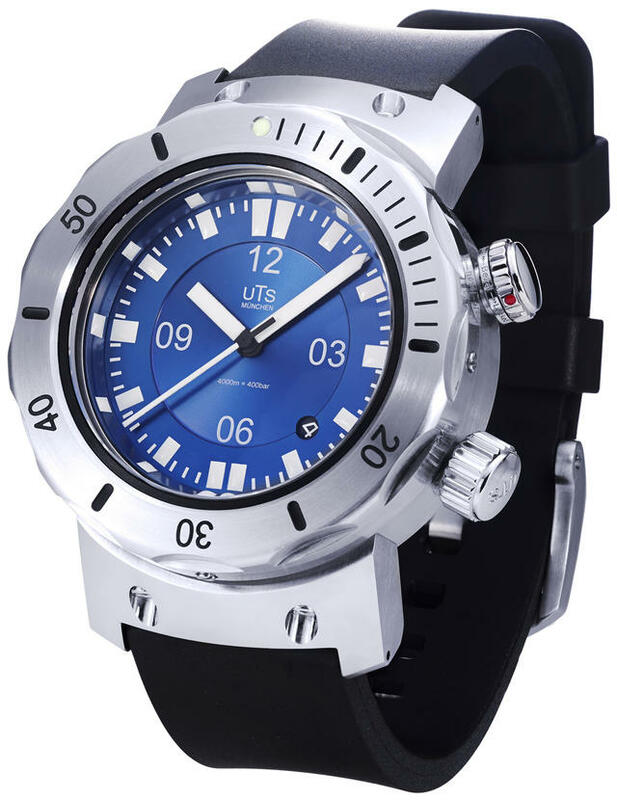 Among its newest models is a blue-dialed update of the original 1,000-meter dive watch, the UTS 1000M Diver. 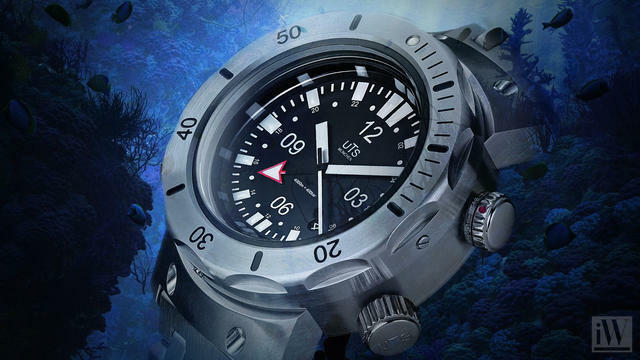 With such a limited production, and with his very focused designs, Spinner therefore offers a truly independent alternative to many of the mass-produced dive models available. As UTS watches are offered in limited edition collections (except for the ongoing Adventure and Adventure Automatic) and each timepiece is engraved with its own serial number (of course, by Spinner himself) that signifies the watch’s handcrafted manufacturing processing and genuine rarity. 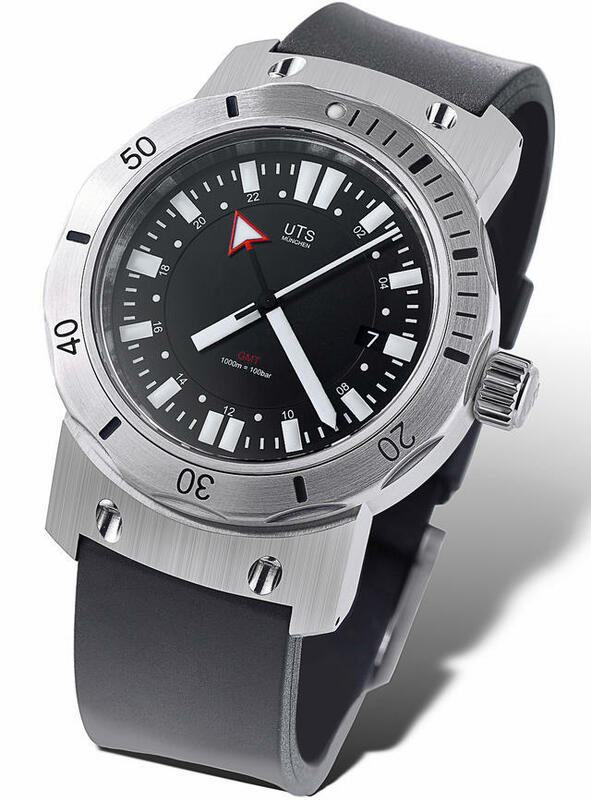 UTS first attracted attention among collectors when it became one of the few watch companies to offer dive models rated to 3,000 meters of water resistance. Soon after, UTS began offering 4,000-meter models, and in recent years the company has added a GMT version of that deep-diver, called the 4000M GMT, a rare dual-time deep-dive watch. The UTS 4000M GMT arrived in the collection after the debut of the firm’s popular 3,000M, but with a slightly larger case (45mm versus 43mm), a proportionally larger dial and a thicker sapphire crystal. The 6mm thick sapphire crystal is screwed into the central case to assure a strong seal. Both the crown stem and the 8mm crown require screwing down for maximum grip and the watch’s machined lug adapter (22mm) is screwed directly into the central case. Like all UTS bi-directional rotating diver bezels, the 4000M GMT securely clicks in sixty positions and is locked using a customized UTS bezel locking mechanism. Many UTS watches, including this one, feature a second crown at 2 o’clock that locks the bezel in place using a ceramic ball bearing system. A super-thick 4mm case-back is screwed into place with eight screws to securely protect the ETA 2893-2 Top Grade automatic GMT movement, which is also protected by an Incabloc shock protection. As a final testament to Spinner’s own personal touch he engraves the rotors, despite the fact that, with UTS’s solid case backs, only a watchmaker will ever see it.